I had an experience dancing a little while ago that got me thinking. I was dancing at one of the local salsa venues, and I asked a girl to dance that I hadn’t seen before, so I had no idea of what to expect. She asked me straight away, “on-2?” It turned out that she only dances on-2, which is fine by me, as this is my preferred style. I was pleasantly surprised. 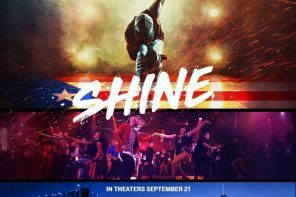 She was light, fun, musical and seemed to enjoy the dance, and I definitely enjoyed the dance. So at the end of the dance I thanked her and went to give her a hug. This is what I usually do at the end of a dance, particularly when I have really enjoyed the dance. To my surprise, she pulled away and made an awkward face, leaving me feeling awkward. I thought it was a bit strange at the time, but I didn’t really think that much about it until recently, and it got me thinking about hugs. I wasn’t always much of a hugger. In fact, it wasn’t until I really got into latin dancing that I realised how important physical touch is to my overall happiness and well-being. I’ve realised in the last few years that I really need physical touch in my life, maybe more so than a lot of people. 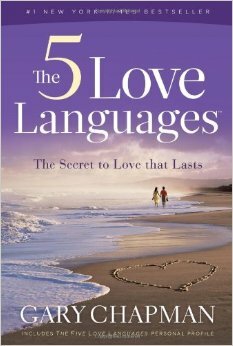 In 1995, a guy called Gary Chapman released his book about the 5 love languages, which is a book that I recommend you read if you’re interested in learning more about how you and your partner can better express and receive love within your relationship. The biggest takeaway point from the book is that people are different in how they prefer to give and receive love and affection, and most people have a particular love language. If someone asked me to specify which love language is most important to me in terms of receiving affection, I would say that it’s physical touch. I need hugs. However, I wasn’t always this way. It took me a long time to realise this about myself. In fact, when people have tried to hug me in the past, I was the one who shied away and felt awkward, even when it was a family member. So I can totally relate to how the lady I mentioned above was probably feeling. I put my initial awkwardness down to a number of things. Firstly, my family are not big huggers. My parents simply didn’t hug me a lot when I was growing up. In fact, after reading Gary Chapman’s book, I went on to identify the love languages of both of my parents, and it’s not physical touch, which explains a lot. Secondly, as as general rule, hugging is not something that is embraced by western society (pardon the pun). 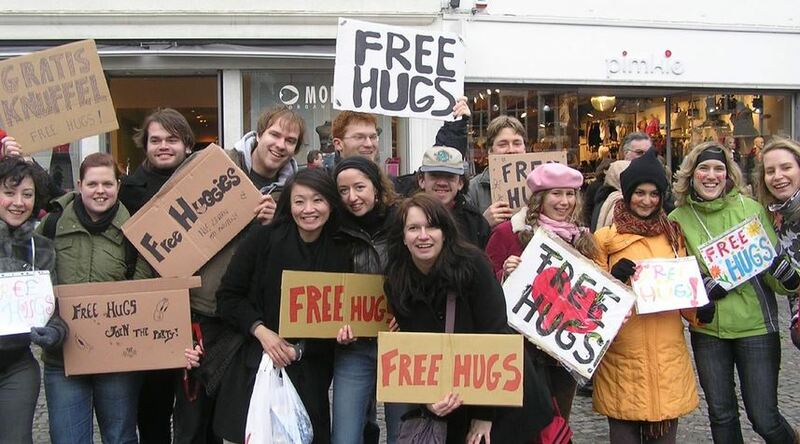 This is why the “Free Hugs” movement got so much attention. It’s simply not the done thing in western society to hug a random stranger. However, this is exactly what we are doing most of the time when we are dancing. The music just gives us a convenient excuse, but if you take the music away, physically, a dance is just a 3 minute embrace, often with someone you barely know. When I first started latin dancing, I was not comfortable with the level of physical intimacy. Living in a western society, and coming from a family of non-huggers, and adding to the fact that I’m highly introverted, being so close to a person that I didn’t know at all, made me feel quite uncomfortable, and I’m sure it was obvious to my partner. These days I don’t give it a second thought, but it took some getting used to. When I started out dancing, I would have a nice dance, and then at the end of the dance, I would follow social dancing etiquette and politely smile and say “thank you” to my partner for the dance. These days, it’s hugs all the way, even if I don’t know the person at all. When I was in London, I spent some time taking classes at a school where they did something that I think is really cool, and I wish that more dance schools did this. In the foundations class, which was the very first class, before the beginners class, the first thing the teacher got everybody to do was hug their partner. Because it was the foundations class, you had a high proportion of people in the class who had literally never done any form of partner dancing before. So being instructed to hug a complete stranger resulted in some people feeling quite awkward, but the way the teacher did it was playful and fun. So that after a few hugs, the physical barriers were coming down very quickly for most people. At the time, I remember thinking that it’s actually weird *not* to hug a person with whom you’re going to dance. Think about it. You’re going to spend 3-5 minutes of your life essentially hugging this person while you dance anyway. Why not give them a hug hello and a “thank you” hug after the dance. Just because the music has stopped playing, doesn’t change anything. You still have permission to hug a person. It doesn’t have to mean anything. My invitation to you, if you’re not already in the habit of giving thank you hugs, is to give 5 thank you hugs the next time you go social dancing (to 5 different people, not all to the same person ;-), and observe the results. My guess is you’ll be pleasantly surprised. More hugs people. That’s all I’m really saying. It feels good and makes the world a better place. Do you like giving hugs after a dance? Yes. And I always initiate the hug. Sure. It's not necessary every time, but I certainly don't mind it. Not really, but it's the polite thing to do. No. Its unnecessary. I just say 'Thank You' and shake hands, if needed.